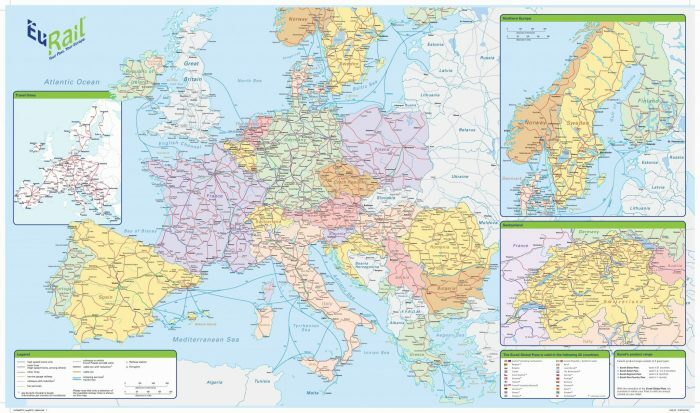 Here we have a huge Eurail Map of train lines that cross Europe. We have a list of the destinations and an indication of the path that the trains take. We have kept the map large so you can make out the names of the towns/destinations. If you are using a mobile phone to view it, you may have to scroll around to find the particular train station or train route you are interested in. The best way to use this train network is to get yourself a Eurail Pass. Eurail passes are eaily the cheapest way to travel the European train network, especially if you plan on making many trips during your holiday. Go here if you want a simpler rail map of Europe.